Exhibit traces the history of Women Engineers & shows career opportunities for young women. Students designed, built and evaluated lunar plant growth chambers using the space-flown and ordinary earth-based basil seeds. Panel of womenn engineers discussed career choices, challenges and opportunitie and provide advice to women interested in pursuing a career in engineering. Historical recreation of the life of Abby Kelley Foster, a leading nineteenth-century abolitionist and women's rights activist. Tufts University group of women engineering students. Hosted by the Attleboro Chapter of the American Association of University Women. Teams of students worked together utilizing their problem solving skills to build solar powered cars. This presentation provided practical tips about how the law effects women in their various roles. 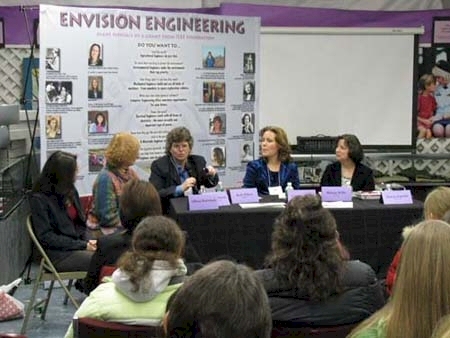 The Women At Work Museum welcomed Dr. Karen Panetta, Associate Professor of Electrical Engineering, Tufts University the keynote speaker for Envision Engineering, a multimedia exhibit part of Envision 2020. This exhibit was inspired in part by Jean Bartik, one of the first women to program computers, who said, “I hope all young girls will give themselves permission to dream about any vocation”. The exhibit was funded by a grant given by the Institute of Electrical and Electronics Engineers. Women engineers have designed, built, fixed, created, imagined, and changed how we look at engineering today. This program and the exhibit that will be unveiled that evening have been made possible by a grant given by the Institute of Electrical and Electronics Engineers (IEEE). This exhibit traces the history of Women Engineers, displays some of the Women Engineers of today, what Engineering is - types of jobs, salary ranges - show the career opportunities in Engineering for young women and illustrates how to plan out and prepare for a career in Engineering. Visit our new interactive Women in Engineering page! Dr. Karen Panetta, Associate Professor of Electrical Engineering, Tufts University served on a panel of women engineers from Raytheon, Hasbro and Pathfinder discussed their career choices, challenges and opportunities as well as gave advice for young women interested in pursuing a career in engineering. Museum President Nancy Young stated “We are very excited and honored to bring this unique program and accomplished women to our community. This event further underscores our mission to bring Math, Science, Engineering and Technology enrichment to our local youth. It is not too early to plan for a career in these fields.” This program was geared to students ages 10 and older. Nearly 50 people, mostly teen girls listened to several extraordinary women talk about their career journey as engineers. Dr. Panetta is a founder of a program at Tufts called Nerd Girls. She began the innovative program to give the female engineers an opportunity to work together on special projects. In recent years, the girls have built a full-size solar car that is “street legal” and also turned the light back on in a lighthouse. In her presentation, Dr. Panetta stressed the varied interests of the girls in the program, saying that although they are all engineering students, they also have other interests such as dance, art and music, which shows that the stereotypical engineer with the calculator and pocket protector couldn’t be further from reality for these young women. A 1999 graduate and Nerd Girl, Allison Bedwinek, joined the panel and told the audience that oftentimes male students ask to join the group and are invited in, but the guys have drawn the line at the trademark pink shirts, opting for white instead. Bedwinek graduated with a degree in mechanical engineering and currently works for a Raynham company where she worked in Research and Development and will be focusing on neurosurgery medical instruments and implants. Helena Willis also graduated with a degree in mechanical engineering and currently is the Director of Engineering for boys’ toys at Hasbro. Willis brought some samples of toys with her to show the different types of engineering that goes into making and packaging a single toy. Melding fashion and machinery, mechanical engineer Kathleen Morris explained how inventions come to be by giving her version of the history of the clothes hanger. With the aid of antique dresses, Morris showed how clothes hangers changed and developed over time and how fashion has influenced items that today we take for granted. The underlying message was about looking at a problem or an inconvenience and being creative in how the problem can be solved, oftentimes in a simple way. Beth Wilson received a Ph.D. from the University of Rhode Island and has worked at Raytheon since 1983 in varying positions such as design engineer, manager, researcher, scientist, function manager, test director on sonar, satellite and radar programs. Wilson pointed to a little black box on a cord around her neck and explained that it was a directional microphone which worked in conjunction with a hearing aid. She was born with a hearing loss. She told the audience that she remembers watching the first moon landing and asking her mother if the scientists could make her a hearing aid since they could bring a man to the moon. Her mother told her that they could, but that all of the scientists were more interested in putting a man on the moon. It proved to be a defining moment for Wilson because she said that it was clearly at that moment that she decided to be a scientist herself. Each of these women talked about the encouragement they received from a parent or guidance councilor and many noted that their chosen path was not always easy. Kathleen Morris recalled being asked to leave the first class she took at Northeastern University because the professor didn't expect any women and she assumed she was in the wrong place. But things have changed, she went on to say, because her step-daughter, Marina Musicus, a sophomore at Carnegie Mellon University double majoring in Mechanical and Biomedical Engineering, is finding plenty of other young women in her classes, although women are still in the minority. One thing hasn’t changed, though, as Marina and the Nerd Girls will attest, these bright young women still like to take on a challenge. Through a variety of community projects and outreach activities, Nerd Girls, a group of women engineering students at Tufts, are creating excitement about engineering. What do building a solar race car, powering a lighthouse and developing software to train helper monkeys for quadriplegics have in common? For the engineering students of Tufts' Nerd Girls, they are all ways to demonstrate the thrill of engineering, experience real engineering at work, and make a difference in the community. Learn more about the Nerd Girls! Visit our Nerd Girls page! The Women at Work Museum in Attleboro was pleased to announce that two teams sponsored by the Museum competed at the 11th annual Northeast Regional Junior Solar Sprint Championship (NRJSSC) on Sunday, June 8, 2008 in Springfield, MA. They competed against top performing teams from 20 other area races across the Northeast. Every year, the Northeast Sustainable Energy Association (NESEA) invites top winners from local Sprint races across the Northeast to compete at this growing regional championship. Over 100 teams competed. The competing teams were from Massachusetts, Rhode Island, New Jersey, New York, Connecticut, Delaware, Vermont, New Hampshire, Maine, Philadelphia, Pennsylvania, and the Maryland-Washington, D.C. area. Team Bobcat 08 and Team Cube Car were able to make the semi-finals. The Team Bobcat 08 members were Madison Benoit of Mansfield, Joel Desmariais of Attleboro, Treuvor Hobwinksky of North Attleboro, and Kyra Boucher of Plainville. Team Cube Car members were Logan Boucher and Kyra Boucher of Plainville. The Junior Solar Sprint is a science and engineering project that encourages students to develop a deeper understanding of physical science and engineering, including specific concepts like efficiency, electric motors and renewable energy. Originally started by the National Renewable Energy Laboratory in the early 1990s, the project has grown each year throughout the Northeast states, with well over 100,000 students participating. Teams competed for top awards in Innovation, Craftsmanship, Technical Merit, and Speed. One team will be honored as the Grand Champion, while another will earn the Kid's Choice award. NESEA formally recognizes the work all students have put into their solar cars and each student receives a free lunch and a keepsake T-shirt. The Women at Work Museum in Attleboro was a resource center for the NASA Lunar Plant Growth Chamber Engineering Design Challenge. The challenge: To design, build and evaluate lunar plant growth chambers using the space-flown and ordinary earth-based basil seeds. Participants designed, built and evaluated a chamber, or just evaluated a chamber. Students participated in the engineering design process and learned how to conduct a scientific experiment. Plant growth will be an important part of space exploration in the future as NASA plans for long-duration missions to the moon. Students designed, built and evaluated lunar plant growth chambers. “Yours for Humanity – Abby” is an inspiring one-woman play based on letters and speeches of Worcester’s Abby Kelley Foster. We travelled back to 1854 and entered Abby’s world. Her emotionally –powerful orations against slavery and prejudice changed the hearts and minds of many. "Yours for Humanity – Abby” was written for the Worcester Women's History Project by Carolyn Howe and Karen Board Moran. Performed by Lynne McKenney Lydick. Creative Consultants: Lynne McKenney Lydick & James D. Moran. Douglas Ingalls, Director. Performed by Lynne McKenney Lydick. Abby Kelley Foster (1811-1887), born into an ordinary Massachusetts Quaker family, became a leading nineteenth-century abolitionist and women's rights activist. Abby dedicated her life to social justice working relentlessly to end both race and gender prejudice. At a time when society demanded that women be silent, submissive and obedient, Abby was none of these. Despite constant harassment and intense ridicule Abby never compromised her principles and her belief that all people are created equal and deserve to be free. She spent more than twenty years traveling across the nation as a lecturer for the American Anti-Slavery Society becoming its pre-eminent public speaker and most successful fundraiser. This also put her at the forefront of the women's rights movement. Abby and fellow radical abolitionist Stephen Foster married in 1845 and bought a farm in Worcester, Massachusetts. Now called Liberty Farm, it is a designated Historical Landmark. Abby gave birth to their daughter, Alla, in 1847. Throughout her life Abby struggled to balance her work as an anti-slavery lecturer with her role as a loving wife and a mother. Over fifty years of her life were dedicated to aid the cause of humanity and justice. Lynne McKenney Lydick, actor and activist, is a “card-carrying member” of several social reform and political organizations: ACLU, The Jane Fund of Central Massachusetts, NARAL, NOW, the Worcester Women’s History Project, and the League of Women Voters. Lynne combines her passion for acting with her passion for activism by performing a one-woman play, “Yours for Humanity – Abby”. The play is based on the letters and speeches of Worcester’s own, Abby Kelley Foster, a nineteenth century radical abolitionist and woman’s rights activist. The play is performed under the auspices of the Worcester Women’s History Project. 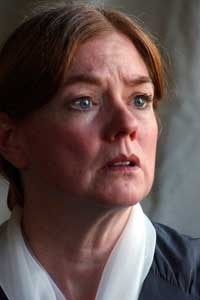 She also performs as Clara Barton in “Follow the Cannon: a Reading of Clara Barton’s Civil War Letters” and as Melissa Gardner in the two person play, “Love Letters”. On Sunday, October 5th, the Museum celebrated its 5th anniversary. The Attleboro Area Chapter of the American Association of University Women hosted the event which featured the unveiling of our Honor Wall, a listing of our donors since our opening. “The individuals and companies who have supported us over the last five years, literally took a leap of faith when the founders of the Museum asked for help in getting the Museum up and running,” said Kelly Fox, Museum Treasurer and Board Member, “One way we can say thank you is by including all of those donors on this wall so that all of our visitors going forward will know who helped us and how much we appreciate that help.” The Attleboro Area Chapter of the American Association of University Women hosted the event. Since its opening, the Museum has created events on science and technology that have given students and adults opportunities to do some hands-on exploring, such as the Meet the Robots and Black Holes and Exploding Stars events. High school girls met women from various backgrounds at the Career Exploration Day and had an opportunity to talk to these professionals about what they do. The Envision Engineering program introduced over 50 middle school and high school girls to various types of engineering careers when six women engineers talked about their jobs, which are as varied as building sonar, designing medical devices, a college professor in electrical engineering, designing computer software, designing toys and creating functional items, such as coat hangers. Most recently, the 3rd annual Clara Barton tea was held with a special one-woman performance about Abby Kelley Foster, a vocal abolitionist from the Worcester, MA area. The mission of the Museum encompasses exploration, education and encouraging independence by also hosting occasional financial education classes. 30 of these classes have already been held for adults. In the fall of 2008, the Museum began partnering with Nations Heritage Federal Credit Union, who sent specially trained instructors to teach students the basics of monetary concepts, including how to open a savings account, the origin of money, and basic budgeting skills. The Museum’s founders believe that education around financial concepts is especially critical for young girls so that as they grow into careers that are at higher pay scales, they will understand early on the importance of saving and investing and have the tools to start to make good financial decisions for themselves. Special guest speaker was Vicki Donlan, author of Her Turn: Why It’s Time for Women to Lead in America. Her talk covered the challenges, opportunities, prospects, and emerging roles for female leaders in a wide spectrum of fields including business, politics, education, law and non-profits. Ms. Donlan is also the founder and former publisher of Women’s Business and is a regular guest on New England Cable News. 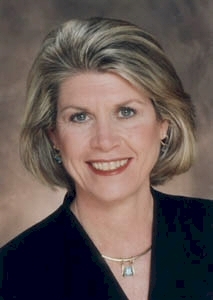 For more information about Vicki Donlan, click here. View the 5th Anniversary Celebration Photo Slideshow, here! Attorneys Michelle Raymond and Jennifer Taddeo led this eye-opening program. Practical tips about how the law effects women in their various roles from daughter to business owner were shared. Answers were provided to questions such as: “What’s the best way to protect my family’s assets in the event of a medical crisis?” or “How do I prevent a legal misunderstanding?” Common misconceptions about family and estate planning were discussed and basic planning techniques were explained. This information will save women time, money and emotional energy later on.